Today's delivery is brought to you by Washed Out & Small Black. 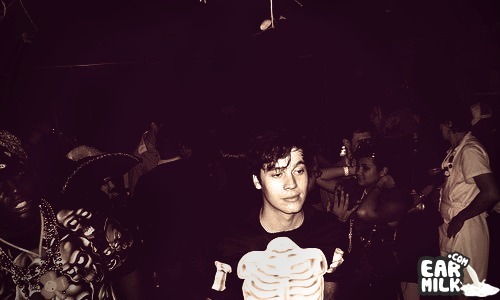 We've featured Washed Out(pictured) before but this will be Small Black's first major post on EARMILK. Now, Washed Out was part of the major "chillwave" movement of 2009 and has really carved a niche for himself. And, Small Black is also fairly new and trying to carve a niche with their unique "casette tape" sound. These two groups are similar but also different in their approach. They recently came together to release a two track EP which featured each of them doing a remix of the other. And, the track I'm bringing to you today is a Washed Out remix of the Small Black song entitled "Despicable Dogs". It has a mellow pop vibe that definitely contains Washed Out's fingerprints all over it. Check out the track and chill….